A $1.67 billion purchase of Saudi Arabia-based Cristal by Tronox Ltd will create the world’s largest producer of titanium dioxide. It means the combined company, a 2005 spinoff from Oklahoma City-based Kerr McGee Corp., will operate eleven plants in eight countries and have a total of total capacity of 1.3 million metric tons a year. It will also result in titanium feedstock operations in three countries with a total capacity of 1.5 million metric tons a year. While Tronox is headquartered in Stamford, Connecticut, it still has division offices and a research and development center remaining in Oklahoma City. “We are pleased to announce the highly synergistic combination of the TiO2 businesses of Tronox and Cristal that will bring significant value to our shareholders, our customers and our employees,” said Tom Casey, Tronox Chairman and CEO. “Our intent to sell Alkali comes at an attractive time as the global market for natural soda ash is recovering and prices are improving. Alkali has continually sold every ton of product it produces. The caliber of the Alkali workforce and their commitment to safe, high-quality production are unmatched in the natural soda ash industry. 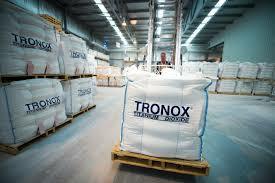 I thank the leadership team and all Alkali employees for their contributions to Tronox,” added Casey. The deal is still subject to approval of the Tronox and Cristal boards of directors as well as Tronox Class A and B shareholders.